Don’t think that stress only happens to you. Many experienced speakers feel nervous and get jittery before they enter the stage and during the first minutes of their speech. 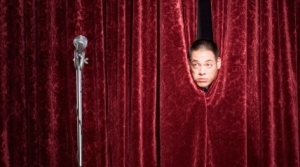 Here are a few tips that may help you deal with stage fright, prepare for a public performance and survive those first minutes. Once you have made a good start, you stress level will go down and your will feel more comfortable. – Arrive at the venue well in time. Get familiar with the room and check the A/V equipment before you start. This will keep Murphy out, save you from unpleasant surprises and give you less things to worry about. – Think of the audience as your friend. The people in the room have come to listen to the interesting talk you prepared for them. As most of them are scared of public speaking, just like you, they want you to succeed. Look for a few allies in the audience and make eye contact with them during your talk. After your presentation, try to get some feedback from individuals – they will certainly tell you that you did a good job! – Believe in yourself. Think positive. You can do it! Transform your stress into energy. Enthusiasm is contagious; if you show passion for the topic you present, your listeners will get excited too. – Control your breath. Nervous people have a tendency to take shorter breaths, which means less oxygen is getting to their brain. Breathing a few times deeply and thinking about something pleasant before you start will help you to control your nervous system’s response to stress. – Prepare for a strong start. Plan and memorize what you will be saying during the first minutes of your presentation. Make sure you will grab your audience’s attention from the first second onward.